If you are publishing your photos online, it can be accessed, downloaded and used by anyone. Many people ask for permissions and give proper credits but not all people are good enough. If you want to protect your images online, you can watermark images. Watermark is the process of putting a stamp on your images to tell other people that the image is your work. Of course, your images will still be used, but a watermark will tell all people seeing the image that you are the owner of the image. There are many online and offline tools available that can watermark images with the text or logo of your choice. In this post, we are listing 3 online tools that you can use to watermark photos. I am putting canvas at the top because it is not just a tool to watermark images but a tool for making social media banners and ads banners. The tool allows you to add an image above other, make a collage, add text on images and more. So, you can also use this tool for adding watermark to your photos. You can add either a text or an image as watermark. The tool also brings the collection of fonts, shape, and royalty free stock images to choose from. PicMarkr is a popular website that lets users add free watermark to images. It provides 3 steps process to do the watermarking. Just upload the photos, select watermark and then download images with a watermark. It can also access photos from your Flickr, Facebook or picasa account for watermarking. But the service has some limitations. You can only watermark 5 images at a time and maximum allowed file upload size is 25 MB. It also does not allow the formatting of water mark text. But the pro version of PicMarkr does not have these limitations. Watermarkly is an advanced tool for adding watermark in up to 50 photos in just 5 minutes. You can add custom watermark with your logo and text. You can also set the transparency of images. It also allows you import images from Google Drive or Dropbox. It can process several photos at once. If you want to add watermark in more photos, you can download the desktop app. Watermark.ws is another nice online service that can add watermark to your photos. Upload photos, add watermark and then process your photos to get photos with watermark. It supports various image formats and only allows 500 KB image upload. If you want to use this service without any limitation, upgrade to pro service. In the free version, you can process only one file at a time. But in the premium account, you can process unlimited files at once. A premium account costs just $4.17. This tool can also be used for adding watermark to your videos. Watermarktool is also a powerful online tool for watermarking photos online. It also provides an option for adding text and photos as a watermark. You can select the size of text, color, and position. This tool is free but you can only upload images of up to 200 KB in size. In premium service, you can increase this limit to 10MB. Watermark-images is also an online tool for putting the watermark on your photos. You can select an image, put text as watermark, select font, the position of the watermark, and then process your images. The tool even allows batch watermark your images online. Umarkonline is also a similar watermark tool where you can add text watermark to your photos. You can select a font, font size, font style, color, text transparency, and watermark position. It only allows processing one image at a time. 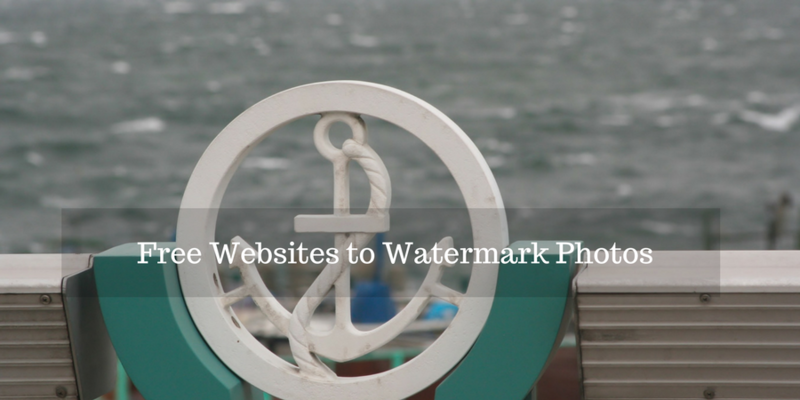 You can use these watermark tools for adding watermark to your images. All these tools work well. There are many other nice watermarking tools are available. If you think I missed one that must be in this list, you can let me know about that. I will try that tool and will surely add here. Keep Visiting UseThisTip and ask your questions via comments.